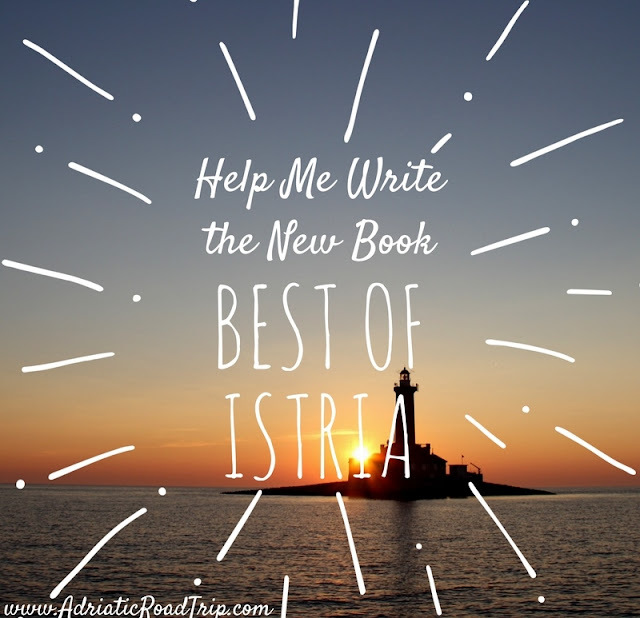 I've been working on the Best of Istria book since summer 2015, shortly after participating in the ShareIstria contest. Istria is an amazing place that everyone must visit at least once. Istria Tourist Board has many outstanding resources about Istria on its website, and there are many blog posts about Istria on the web. However, my goal with this book is connect all highlights of Istria to Google Maps, so they're all available in one interactive Best of Istria Google Map. As a Google Local Guide, I appreciate the value of connecting the Best of Istria book with Google Maps where the reader can learn more about the place, find its location and use Google directions to get there, see pictures, get contact information, and read reviews. By tying Best of Istria book to Google Maps, I hope to provide readers with a practical guide to exploring Istria that is truly unique. Visit the Best of Istria webpage for full Table of Contents. You can also email me with your recommendations or share them on Twitter.